Check this out! Thanks to my awesome son-in-law Dann for pointing this out—my painting Shalom Dove II is on Hallmark's Rosh Hashanah page. Pretty exciting to see. And, yes, Dann, I did go back and look at the contract, which does include electronic distribution. Samples arrived from Hallmark yesterday! I love getting those samples almost as much as I enjoy hearing that they want to use my art! Happy Birthday to my best friend and super hero! The inside reads "...are the center of my universe." I didn't plan it, but apparently I just happened to get the right number of planets without even trying. That's a good thing when making a card for someone so in love with astronomy! 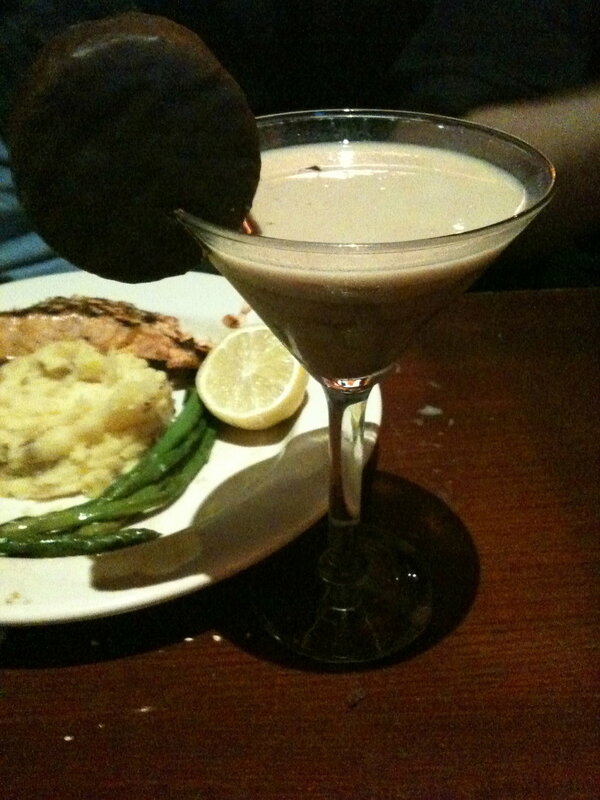 His coworkers treated him to a nice OK Joes lunch and cupcakes then we had a nice dinner out where I had a wonderful chocolate martini. It had a Ding Dong on it! YUM! I meant to post this after I figured that Hannah had received this in the mail. Seems like ages ago. 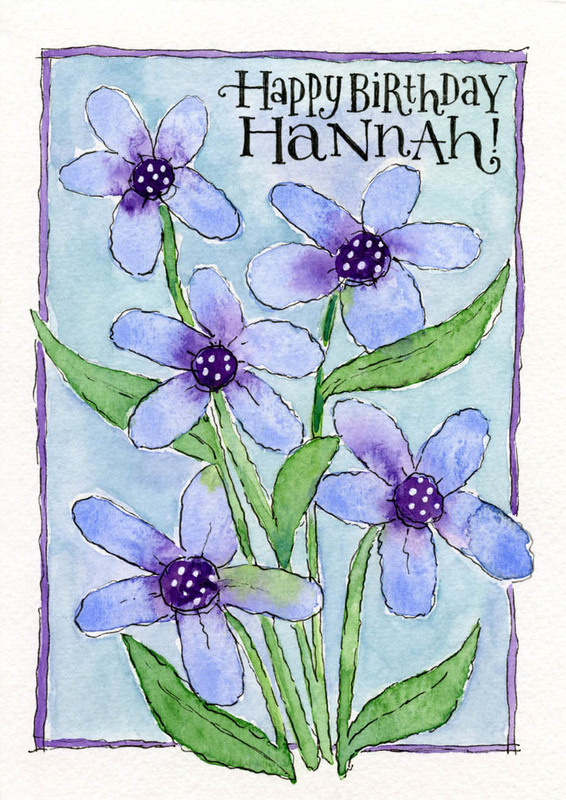 It's another card done in the Martha Lever style color drop flowers. I love the technique. 25 years ago this coming week I started working at Hallmark while I finished my final semester at KU. I've always said that I learned so much there, working among very talented people. KU was generous and flexible in letting me finish school in that way, and Hallmark made sure my education was much more than complete. Unfortunately several years later I had to leave Hallmark and began working on my own (with a trip back to Shoebox for a short time in there). I've so enjoyed the flexibility working in this way has allowed, even though it hasn't always been easy. I don't have a community of artists to learn from and the stimulation of being surrounded by constant creativity and energy. Looking for clients and sources of work is not an easy thing to do and businesses have come and gone over the years. But somehow I've managed to stay busy these past 20 years and even challenged myself in new ways. Painting added a new dimension to my work a few years ago, something I decided to do on a whim, not realizing all of the new places it would take me. I've enjoyed showing my paintings, prints, cards and jewelry at the art fairs throughout the midwest and online. But last year Hallmark contacted me about my paintings with an interest in licensing a few of them, something I hadn't expected to come from this. Yesterday, 25 years ago almost to the day since I started the Hallmark adventure, I received this in the mail—card samples of the first piece of artwork that they've licensed for the Tree of Life line. The pocket ID reads "Jewish Artist" in small print under the occasion title and on the card back is a colophon—"Artwork by Laura Bolter." 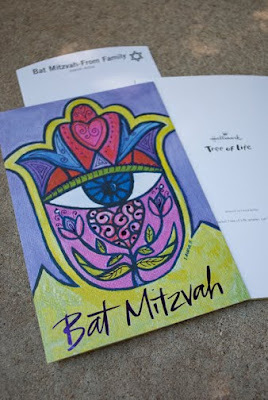 I've been recognized as a Jewish artist by Hallmark. How ironic and exciting to have come full circle. 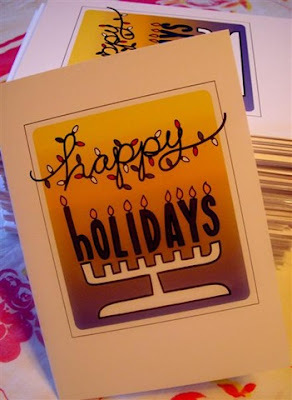 I had a lovely Etsy customer contact me a few weeks ago about a large card order for the holidays. She was so wonderful to work with. 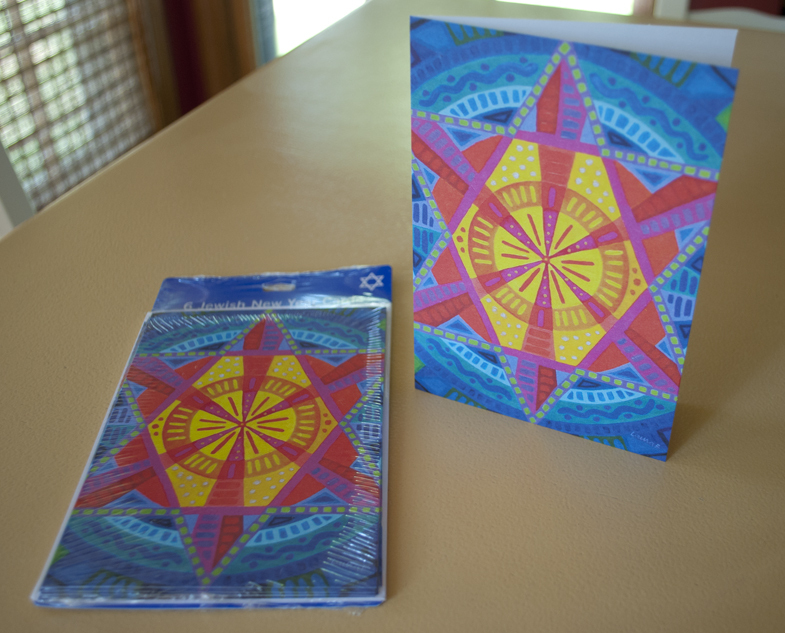 Yesterday she wrote blog post mentioning my card design. It was so nice of her to do that, and to get permission to show the card on her blog before publishing it.